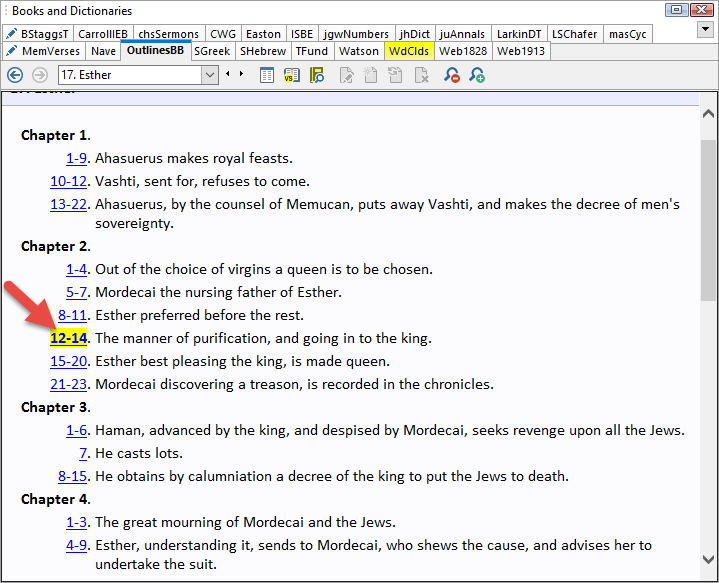 SwordSearcher includes a book module called Outlines of the Books of the Bible. 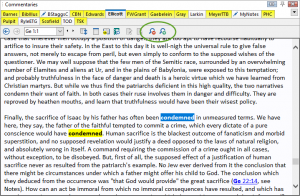 A great way to use this book is from the Bible margin, where you can link into the verse’s place in an outline of the whole book. 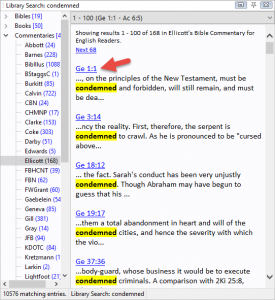 What if you don’t see the OutlinesBB book link in the margin? 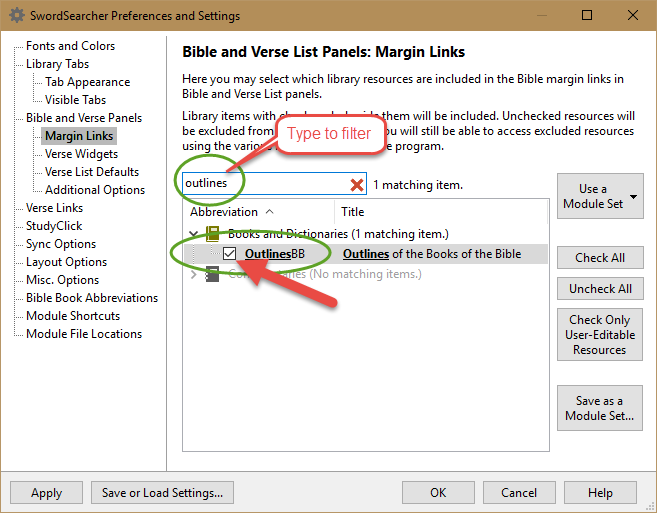 …and make sure OutlinesBB is selected in the list. 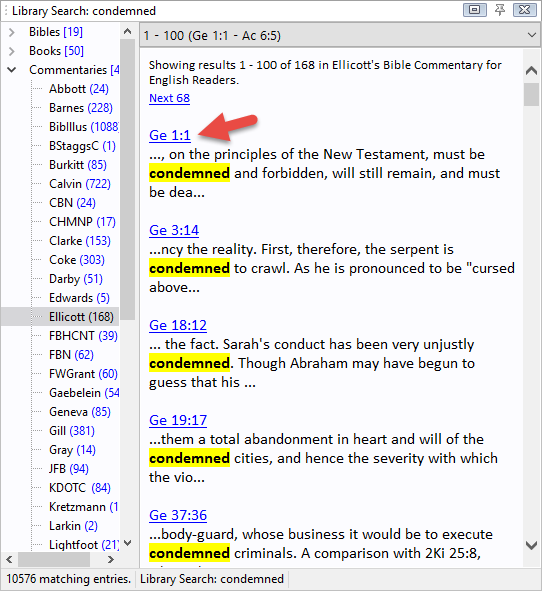 As you can see, there is a match in Genesis 1:1 in the Ellicott commentary. 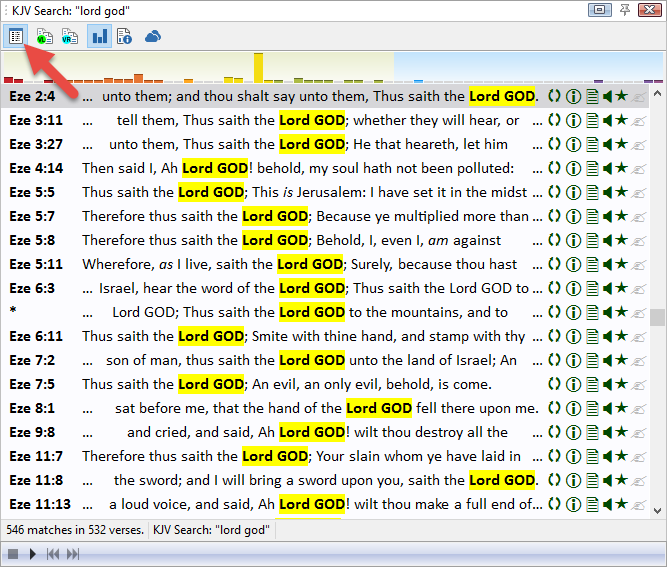 When clicked, the full entry is loaded in the commentary panel. Now what is important to remember is that the search results are shown a lot like a web search– you only see the first match in the preview. But there may be more. 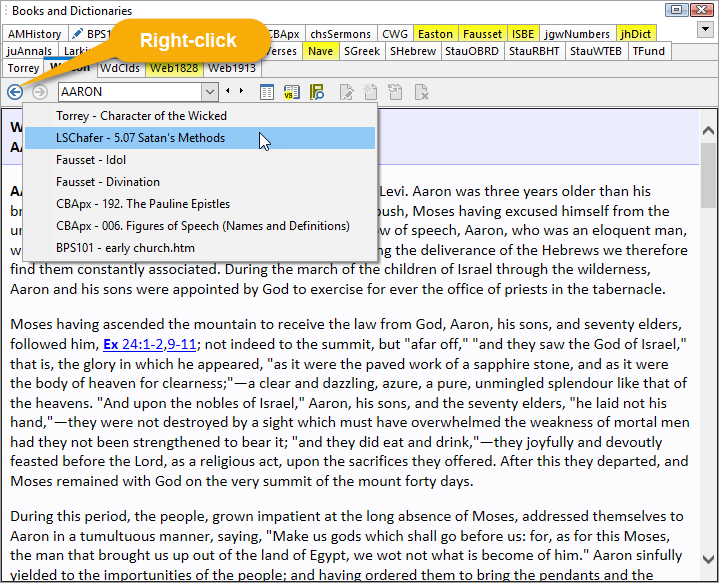 The + and – buttons (circled) allow quick scrolling to each match in the entry. These buttons only appear when viewing search results in the panel. You can also use the keyboard numeric keypad + and – keys to perform the same action. In fact, this has been possible in previous versions of SwordSearcher, but was hard to learn about without reading the manual. These new buttons make it a lot easier. 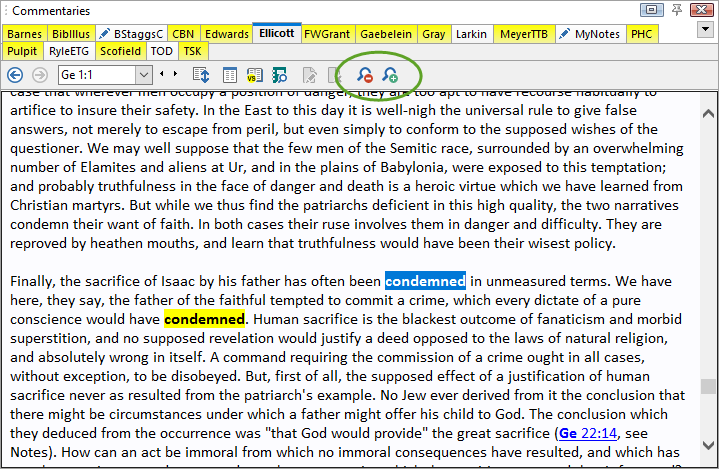 The buttons also appear when using the Verse Guide so that you can cycle over multiple verse references matching a verse in an entry.